chevron...not just a gas station anymore! 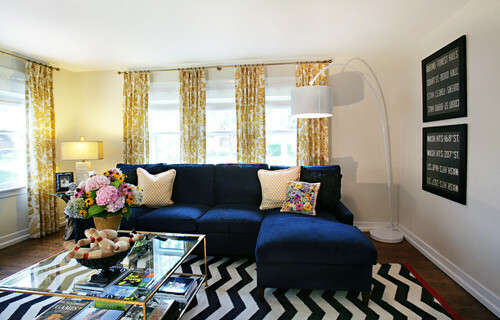 So one of the trends that I've quite possibly fallen in love with are chevron stripes. I don't really know the history behind them or anything. All I know is that they're cute (if in nice colors such as grey + white, pink + white, green + white, etc.) and I'd like curtains, a rug, or a pillow with them (I think you'll be convinced if you see this good looking living room below).